Show off your best assets in this crop top girl. 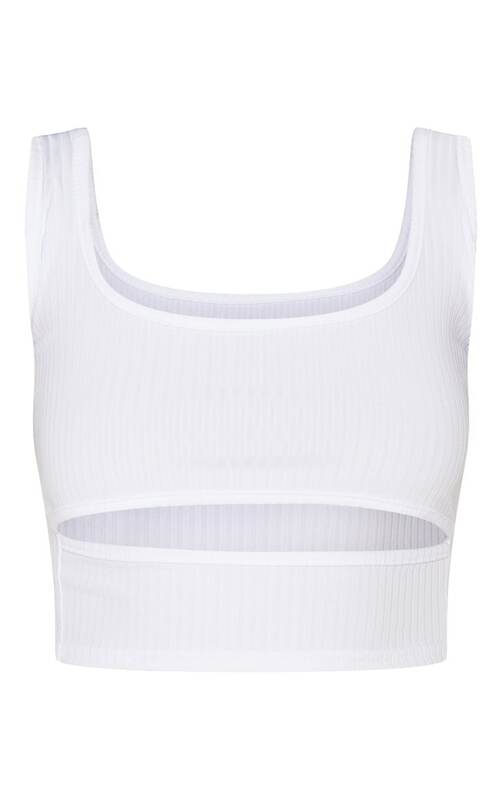 Featuring a cut-out design in a white ribbed material. Style this crop top with some slinky joggers and bright block heels for an off-duty look we are loving.